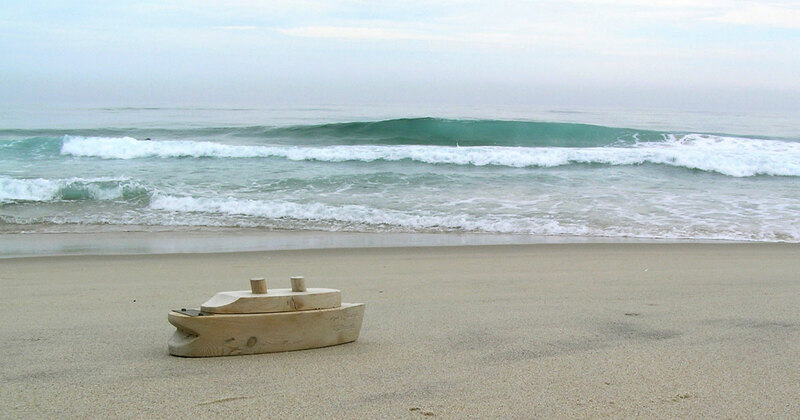 Image above: A miniature wooden boat washed ashore on the south beach, one of the intriguing artifacts found on Sable Island’s shoreline during the past few decades. 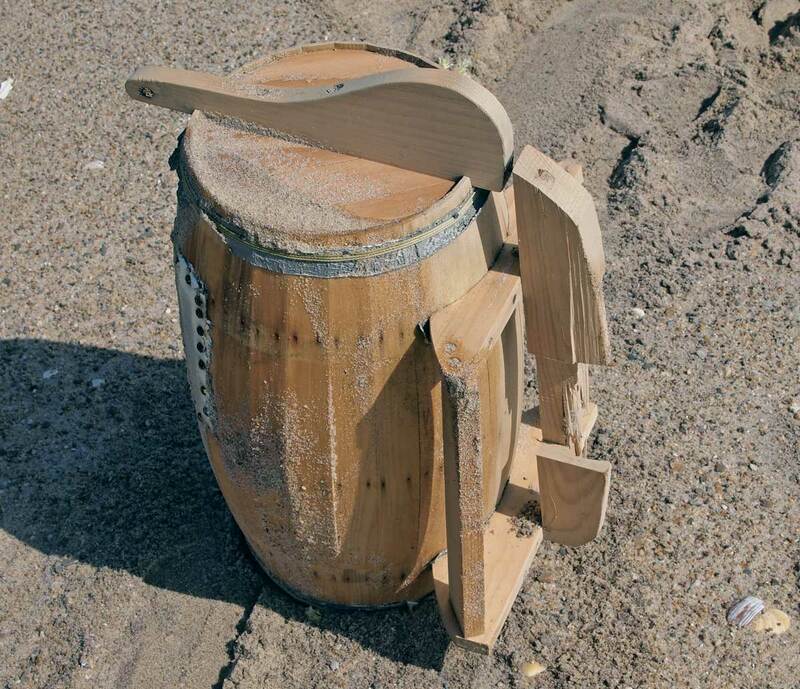 The origin and intended use of most beached items can be identified, but some are puzzling. Five of these are described below and will likely be recognized by some persons visiting this page. We would appreciate any information regarding the origin and/or use of the items: miniature boats, backpacks and barrels. What are their stories? 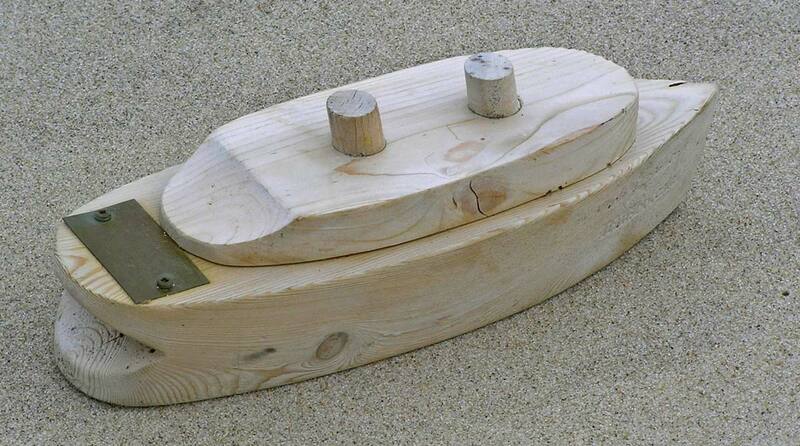 This small wooden boat, about 20 cm long, was found on Sable Island in summer 2005. The brass plaque (secured with Robertson screws) on the stern deck indicates that the boat originated in Québec as part of a festival, Fêtes du Québec Maritime. Although the website noted on the plaque was accessed, no information regarding boat #7637 was available. Who launched wooden boat #7637? Where and when was it put into the water? A couple of ‘homemade’ backpacks (?) washed ashore a few kilometres apart. 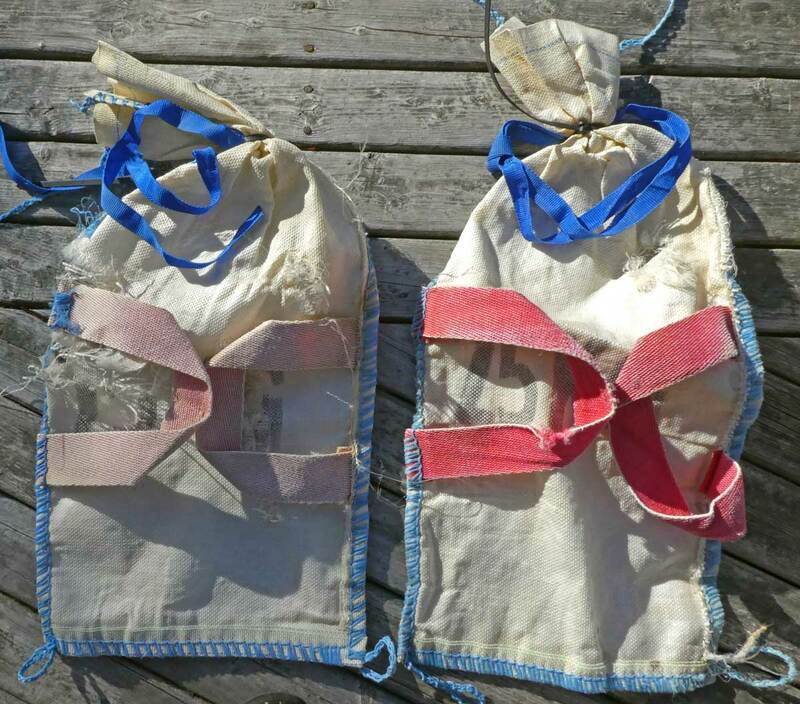 Each was made of a woven polypropylene ‘feed’ bag (marked as having a 25 kg capacity), with red fabric shoulder straps and what appeared to be closure straps (blue) at the neck of the bag. However each bag had been tightly closed with a single black plastic cable tie. Stitching (a two thread wrapped edge overlock stitch) around the edges of the bags was used to fashion loops at each lower corner. The backpacks were about 70 cm long and 30 cm wide. Both bags were empty. A well-crafted and detailed miniature rowboat, about 50 cm long, was found on the south beach. 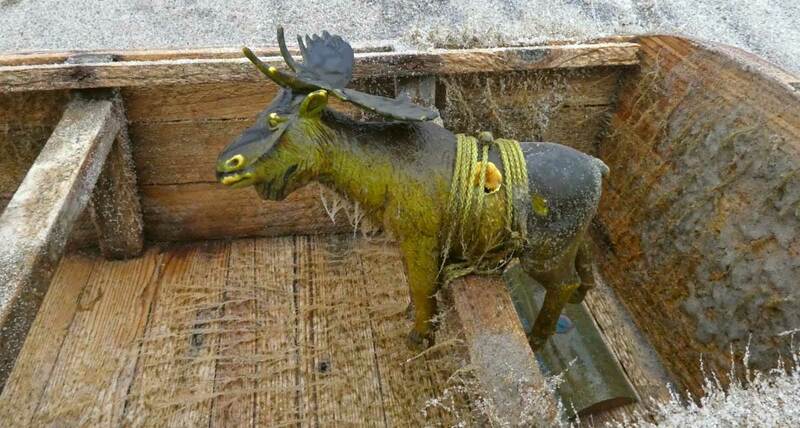 A plastic moose was secured with string to one of the thwarts. A fuzz of algae was attached to the inside and outside of the boat, and also on the moose, making it look shaggy and bedraggled. A piece of metal, perhaps a stabilizing weight, was screwed down just behind the last thwart and under the moose’s hind feet. 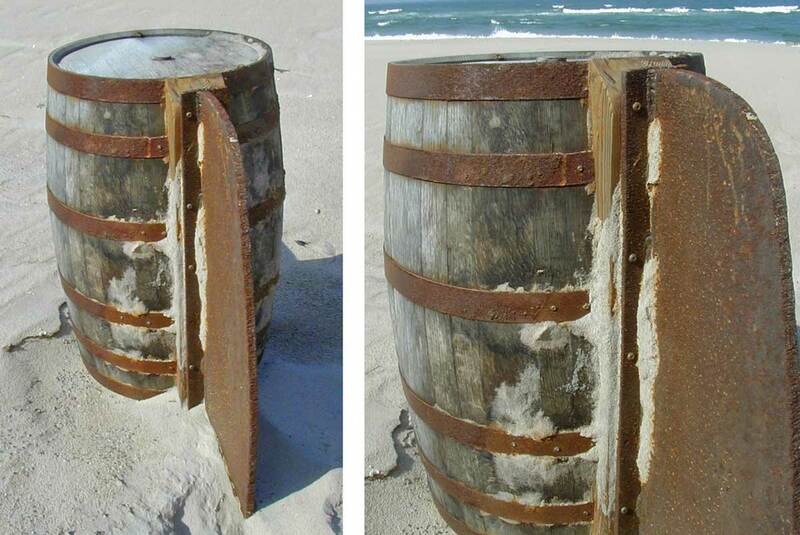 Found on the north beach in 2011, a barrel with some finely crafted wooden attachments, some of which were broken. A sheet of translucent white plastic was fixed (with Robertson screws) over a squarish hole in one side of the barrel. String and duct tape were wound and tacked around both ends. The barrel was punctured and empty. 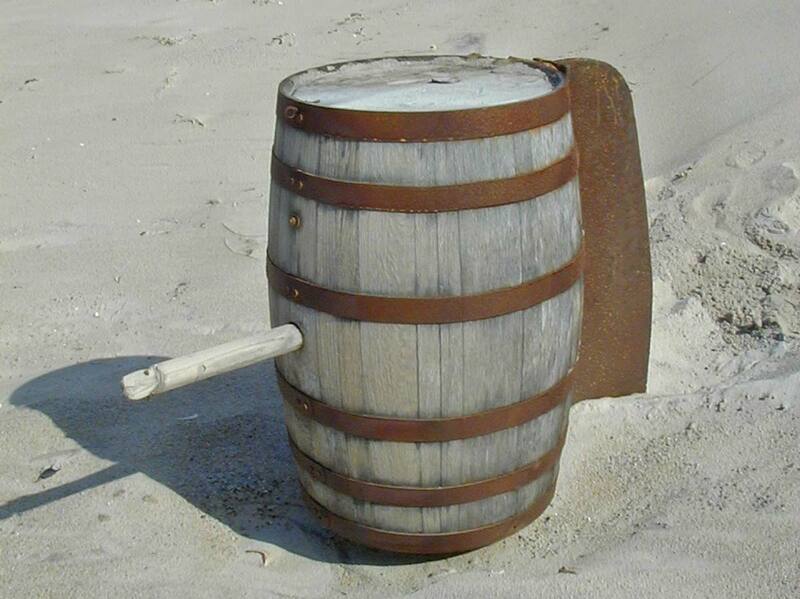 Found on the north beach in 2002, another wooden barrel, but with six metal barrel hoops and a heavy steel keel-like attachment (more Robertson screws). The broken stump inserted in the side opposite the keel was likely the remains of a pole that might have supported a sail, flagging, or marker of some kind.